I love to listen to pod casts while I am doing something mindless like cleaning or walking. As a long time subscriber of Bon Appetit magazine, their weekly podcast is one of my favorites. A few weeks ago, their former senior news editor was the featured guest to talk and promote her cookbook. I was so intrigued with the conversation, that - even though I have tons of cookbooks - I had to buy it. Dining In by Alison Roman has lots of recipes that are really do-able and most include ingredients I already have on hand. The photographs look like they were lifted right off of Instagram and the words sound like Roman is there just chatting up the reader. She's big on seeds, nuts, toasted bread crumbs and citrus which makes for some very yummy creations. In the introduction she promises, "These recipes are meant to inspire you to adapt, encourage you to riff, and empower you to maybe not follow the recipe." I took her at her word and, as you can see from the photos above, I had a great time making: Fried Eggplant with Harissa and Dill; Blood Oranges with Crunchy Red Onion and Avocado (I used regular oranges); and Avocado with Everything (I added garlic salt and left out dehydrated onion). I have to say the eggplant dish has the best sauce ever! However, I just could not get past the amount of olive oil the eggplant soaked up when I fried it, so the second time I made it, I grilled the eggplant. It turned out just as delicious and I used it to build a lunch bowl with chicken. I wish I could give you the recipe, but I understand it is very bad form to do in a cookbook review - if you could call this post that! So instead I can only say it involves garlic, harissa, tomato paste, cumin, and vinegar. By the way, my email is yatesyummies@gmail.com - if anyone wants to converse on the subject a bit further. So - here is another grilled eggplant recipe that is really, really good which I originally posted in 2013. 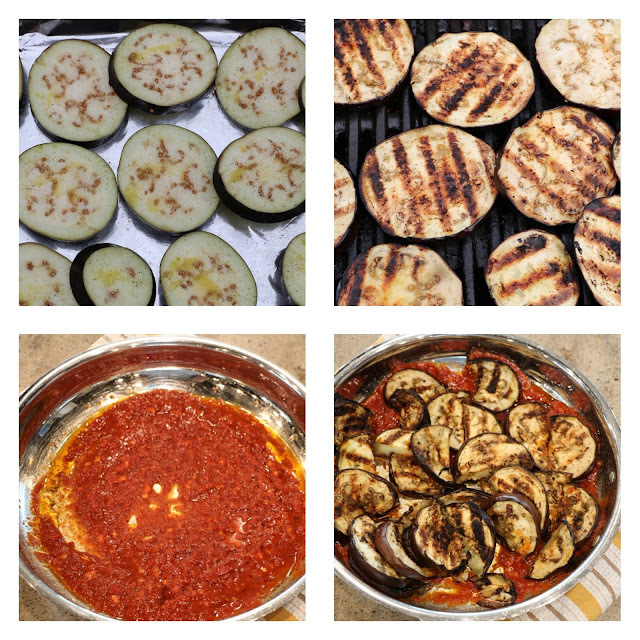 Below are photos from making Roman's recipe when I grilled the eggplant, as well as a photo of Grilled Eggplant Caprese and the recipe. If roasting the eggplant in the oven is preferred, follow the directions except instead of putting the slices on a grill, place them on a foil covered sheet pan and bake at 400 degrees. Turn over after 7 minutes and continue baking for 7 more minutes. 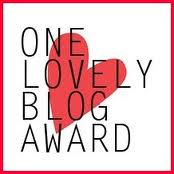 This post is dedicated to my wonderful friends and next door neighbors, Jim and Julie. We probably have never had such gracious neighbors and I feel like I just can't thank them enough for all their kindness! 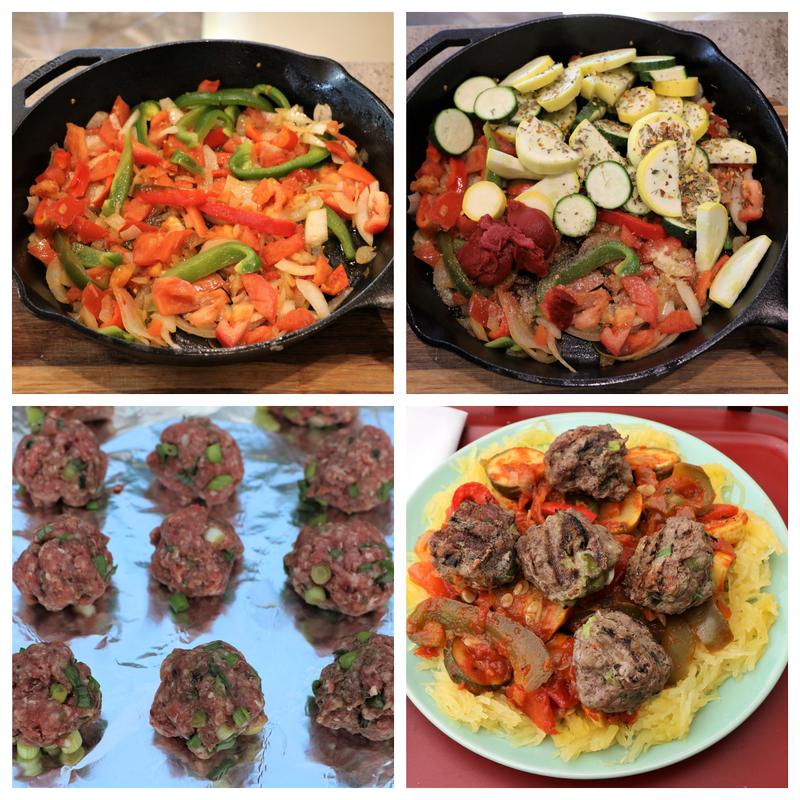 One thing I can do is share my love of cooking quick and - for the most part - healthy recipes. They have lived in New Zealand and then California, so they are somewhat dismayed (me too!) by limited healthy eating choices here in the Midwest. Julie mentioned that she was looking for recipes to use spaghetti squash in. I came up with a couple in this post, but here is another one. It's a riff on good old spaghetti and meatballs, but the sauce is loaded with veggies and the meatballs are free of dairy and grains. 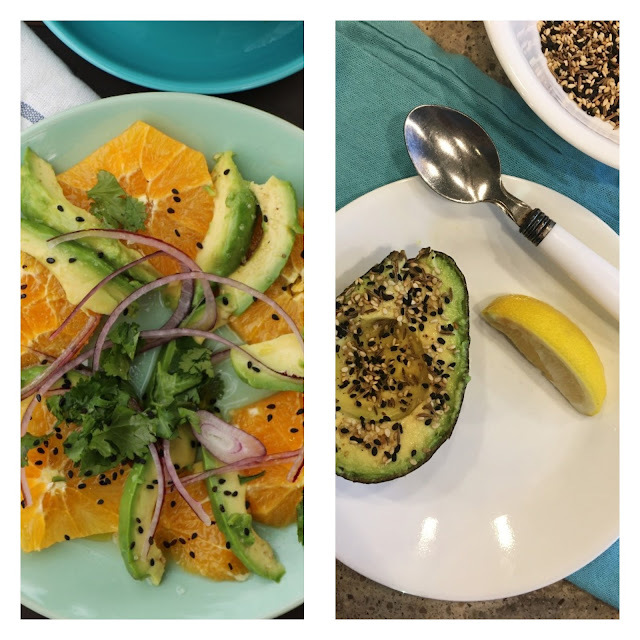 Definitely Whole 30 friendly for someone isstill in the game! If that's not a concern, it is delicious to include Parmesan cheese and breadcrumbs, so I've included those as optional in the ingredient list. Also, I think this would be equally as yummy if two spiralized zucchini squashes were used in place of the spaghetti squash "pasta". 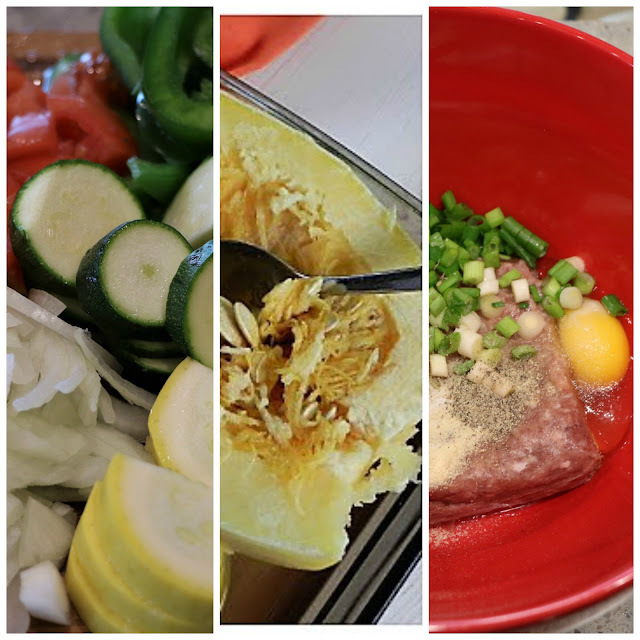 Slice the spaghetti squash in half lengthwise and scoop out the seeds. Place in a baking dish and either bake it at 400 degrees Fahrenheit for 45 minutes or microwave it for 12 to 15 minutes. Squash should seem tender but not overdone. It's better to under cook it first and have to cook it a few minutes longer than to have it limp and without its characteristic noodle-like strands. Using a dish cloth to hold each squash half, take a fork and run it length wise down the squash to release the strands in a bowl. Set aside. If using spiralized zucchini, saute it in 1 to 2 tablespoons of oil until tender but not mushy. This should take about 5 minutes. The "zoodles" will still be just a bit crunchy. While the "pasta" above is cooking, saute the onion, green bell pepper, and red pepper until tender - about 5 to 7 minutes. Add the garlic and saute another 30 seconds. 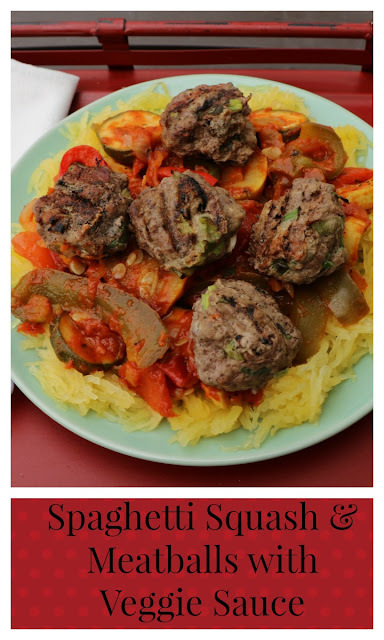 Mix in the tomato paste, water, zucchini, yellow summer squash, oregano, salt, and pepper. Allow the mixture to simmer at medium low heat until the squash slices are cooked through but not mushy. 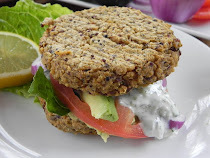 Combine the hamburger, egg, sliced green onions, oregano, garlic, salt, pepper and, if using, the Parmesan and bread crumbs. Form into walnut sized balls. Either grill over medium heat 5 minutes per side or bake in a 350 degree Fahrenheit oven for 20 minutes. To assemble, divide the spaghetti squash or zoodles evenly among serving plates. Ladle the vegetable sauce on top. Divide up the meatballs and dig in!